Awesome gluten free, vegan options that need to get in your belly right now. Claire Stokes, Interested in all things vegan and ethical. So I’ve recently adopted a gluten free vegan diet. Finding the basics, such as bread can be a real challenge! Do you know that feeling when you excitedly find a yummy looking gluten free item in the ‘Free From’ section only to turn it over and see egg in the ingredients (so close darnit!). But fear not, there are some awesome gluten free, vegan options out there that need to get in your belly right now. The Vegan Nutrition Store .has a wide range of vegan goods including this Gluten free vegan hamper. Their fantastic product range includes the first and only dairy-free garlic bread in the UK and some yummy looking vegan pizza (review to follow!). The Eco Collective is a unique Buyers’ Club which combines the strength of community and the power of technology to bring thousands of the highest quality, healthiest and most natural products within easy and affordable reach to our Members. Members’ benefits get even better as the community grows! As a Member, you’ll get brilliant discounts off the RRP on every item in the store, further Special Offers every month, Bonus Beans rewards on your shopping PLUS Refer-A-Friend Bonus Beans too! Head over to the Membership page to find out more. Please use the AllEthical.com referral code 703 when you register. I found this to be a particularly difficult item to find. It may be worth investing in a breadmaker or make your own as gluten free bread can be expensive. These loaves are £3 each. Sharpen up your cooking skills with a cooking course from Udemy They are very good value at only £10.99 a course. Learn how to make gluten free vegan desserts, cheese & more! Udemy is the world’s largest marketplace for teaching and learning. Over 20 million students in 200+ countries are taking their online courses to advance their careers and pursue their passions. Over 45,000 courses available on-demand, 24/7, via the iPhone, iPad, Android and Web. We help anyone learn anything! I joined this lovely, welcoming Facebook group Gluten Free Vegans UK and it’s full of handy tips. Collaborators on our board are welcome. Email or message us to be added. In the article below HypothyroidMom.com list the common symptoms of gluten sensitivity. There is also a list of some autoimmune diseases known to be related to gluten sensitivity — Coeliac Disease, Hashimoto’s Thyroiditis, Graves’ Disease, Rheumatoid Arthritis, Vitiligo, Sjogren’s, Multiple Sclerosis, Crohn’s, Ulcerative Colitis, Dermatitis Herpetiformis, and Type 1 Diabetes. Despite taking medication for Hashimoto’s for years I haven’t really felt any benefit. I kept on reading that cutting out gluten (and coffee too!) may benefit me so I’ve decided it’s time to give this a try. 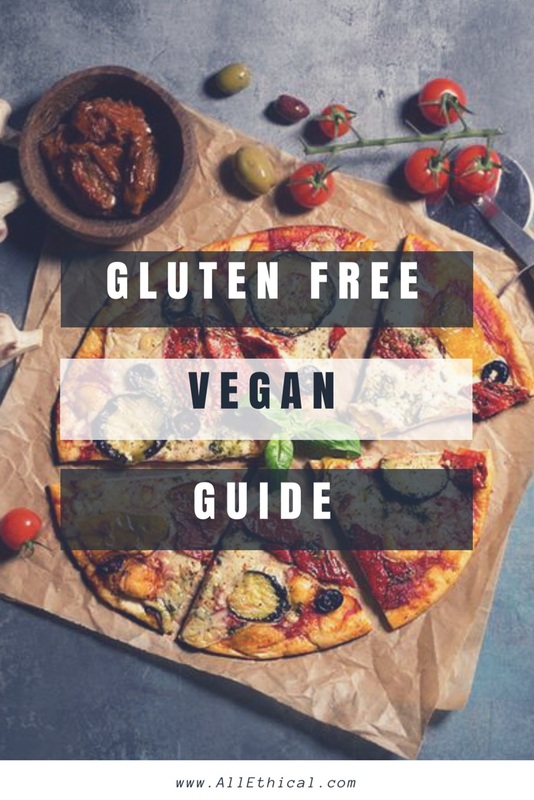 I quickly realised that there’s quite a few gluten free items for sale in the supermarkets and some great vegan products too. However finding gluten free vegan was a bit more of a challenge but not impossible. So I will add any great resources I find to this list and feel free to add your own in the comments section.